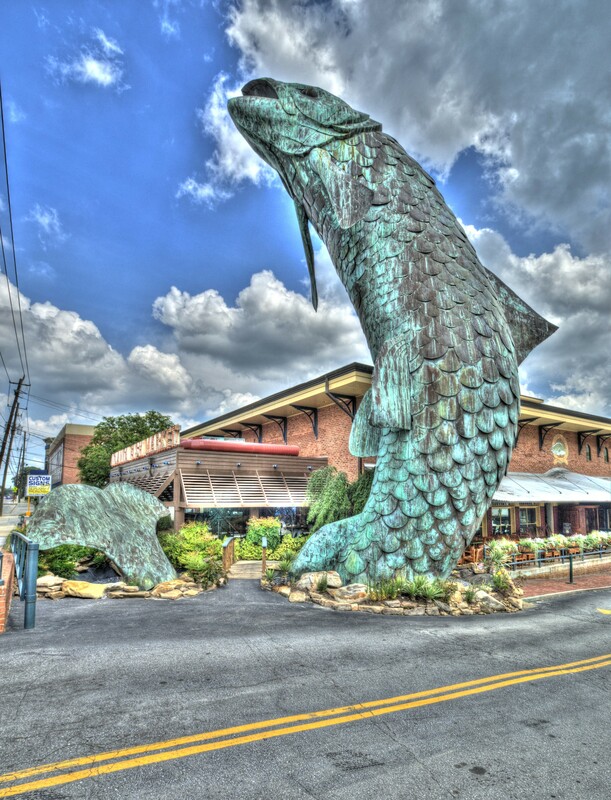 I have always loved the huge fish on Pharr Road in front of the Atlanta Fish Market, and always love the food there too! It’s a hard shot to get because of all of the power lines running down that side of the street. I got this today while getting some shots in Buckhead.